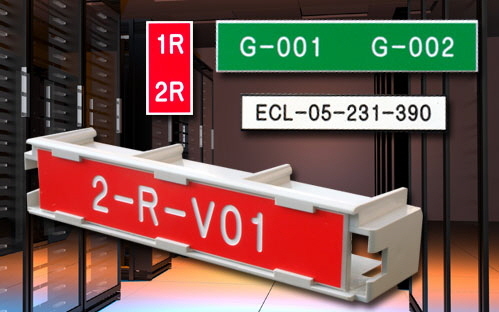 Looking to order plastic patch panel labels? 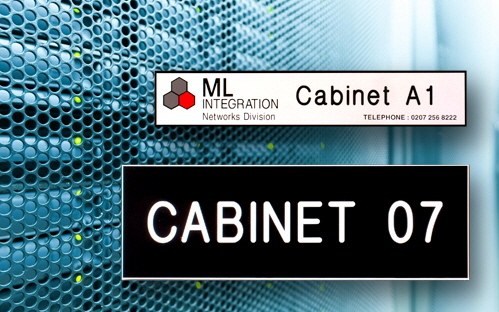 Datacomm, Equipment and Cabinets in a comms room can easily be labelled using engraved plastic labelling, often called traffolyte labels. Engraved traffolyte labels are the ideal long-term solution, with no need to worry about fading or peeling. 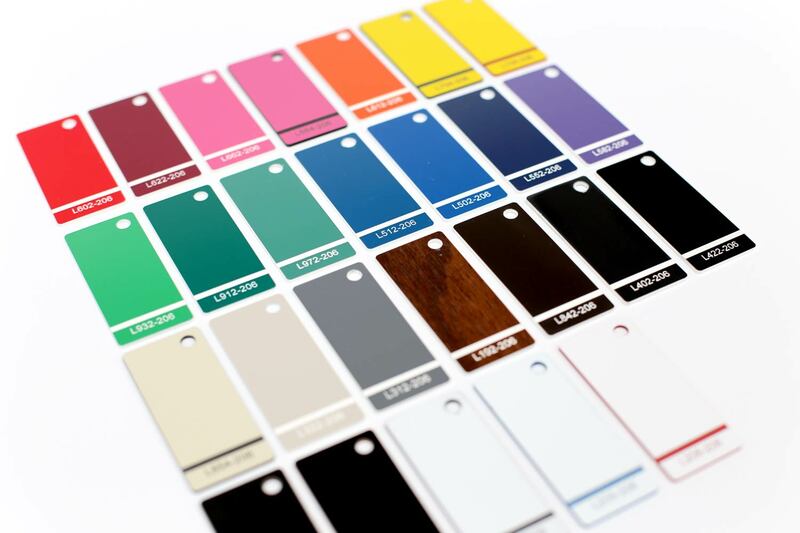 Usually supplied with a self-adhesive backing, they are easily applied, and give a more permanent professional finish to installations, compared to the often used hand-written or printed nametape strips. 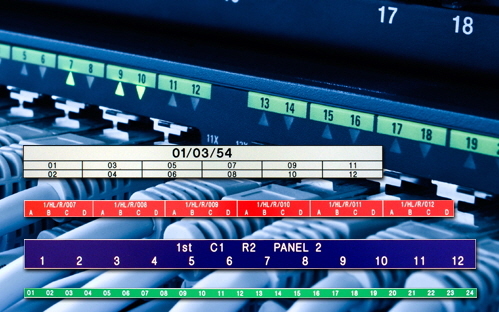 A wide range of colours are available, invaluable for differentiating network and equipment groups, so technicians can easily identify mission critical components, not cross-connect DMZs or power-down the wrong server cluster! Labels can be made to any size, and can also be outdoor suitable when specified. 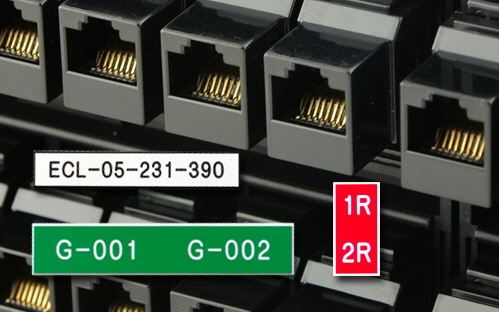 Strips of labels made for application to patch panels of any type. We have an extensive library of existing panel dimensions, or can supply labels to your measurements for more specialist equipment. Any text can be engraved, including header labels where relevant. 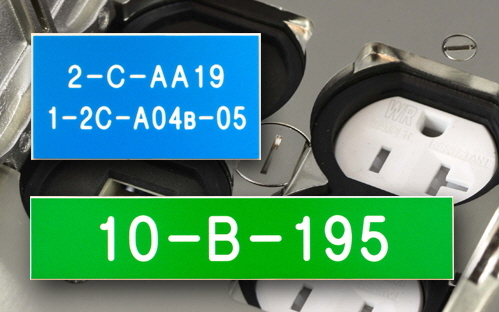 Durable long-lasting engraved outlet labels made to any size. Quick to apply and hard to remove. Simple and durable labels made to your measurements, can be self adhesive or slide-in. Larger labels to identify each cabinet. 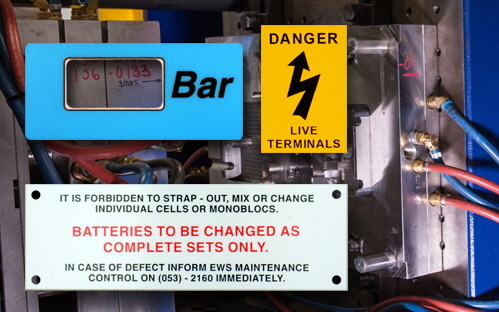 Simple numbering or more detailed information can be engraved, including warnings and notices where relevant.